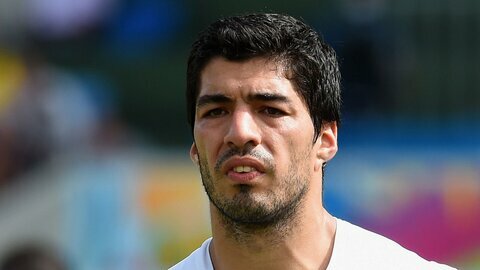 Blog Teams Barcelona REVEALED: The real reason why Luis Suarez bites! REVEALED: The real reason why Luis Suarez bites! The only slur on the spot of arguably the ‘greatest-world-cup’ of this century has to be the Luis Suarez biting incident that left the neutrals consumed with frustrations and drooling over the issue that marred the beautiful game. The consequence turned out even more galling – deplorable defensive stunt from the Uruguay camp, ban imposed by FIFA & natural shockwave around the world (especially among the Liverpool fans), ridiculous self-defence from Suarez and a sudden volta-face knowing this might jeopardise his Barcelona move – everything took the gloss out of this phenomenal event that promises to reestablish the grandeur of the international football yet again. And this is about a little weasel who undoubtedly is one of the best footballers of this generation. Many say he needs medical help, he needs guidance, cocooned by people constantly misguiding him from one extreme to another – but, crux of the matter remains unanswered, the mystery that leads him to do such a nasty thing on pitch! Again & again. And again. Is it simply because he is a pillock with a dysfunctional cerebra? May be not. Suarez’s grandmother has other explanations to offer. The flummoxed lady feels, her ‘boy’ has yet to come out of the trauma he suffered due to the divorce of his parents. Fifa shuld jus be Human enough n lessen his ban its jus to EXCESSIVE, wh@ will they gain frm e ban nothing. Lessen e ban n think of more pressing issues like Qatar awarding.